You have no doubt been in a situation where you’ve had to slam on your brakes, thankful that they work so well. Applying your vehicle's brakes is an example of stopping kinetic energy, which is present when your car is moving. Most automobiles today have anti-lock brakes. The ABS, or anti-lock braking system, is a four-wheel system that modulates braking pressure automatically during a quick stop. When the brakes are engaged, fluid is forced through a set of valves from a master cylinder, causing pressure that is transmitted to the hydraulic control units at each wheel. 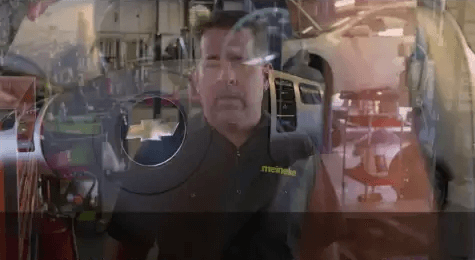 You can learn more about ABS from the pros at Meineke #1931 in Mooresville, NC. During normal braking procedures, the pedal action for an ABS or anti-lock braking system will feel much the same as it would in a vehicle having a non-ABS system. In an emergency, however, anti-lock brakes prevent wheel lock-up while allowing the driver to maintain steering control. In a critical situation when the brake pedal is depressed, the ABS will also bring the car to a stop in the shortest distance possible. Wondering if your car has anti-lock brakes? Just ask the specialists at Meineke #1931 in Mooresville, NC. As long as they appear to work as they should, you probably give little thought to the condition of your anti-lock brakes. However, you may begin to hear a screeching noise when you use your brakes or feel a vibration in the brake pedal. You may also find that when you apply the brakes, they seem less responsive than usual, or that your car seems to be pulling to one side or the other. These are all signs that it’s time to let the specialists at Meineke #1931 in Mooresville, NC, perform a thorough brake inspection. Signs of potential brake failure can appear suddenly or gradually. In some cases, the brake pedal may go out, while in others you may notice a creeping increase in the time it takes to stop your car. Strange noises while braking can also indicate a problem. Faulty brakes decrease the control you have over your car and can lead to a serious accident. If you notice a problem with your brakes, have your car checked immediately. Contact the car repair professionals at Meineke #1931 in , NC for repairs and maintenance to your brake system. 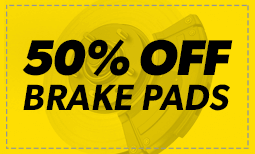 If you are accustomed to bringing your vehicle in to Meineke #1931 in Mooresville, NC, for routine inspection of your anti-lock brakes, you already know that this represents big cost savings. You might need a minor part or some brake fluid added to the system, and this kind of service can be done quickly and inexpensively. If, however, you have worn brake pads, replacement will be required and you should have that done as soon as possible. Brakes of any kind are designed to wear out, and brake pads are only one component that might need replacing. We will assess any brake problems you’re having and recommend the most appropriate solution. If you are thinking about replacing your anti lock system, a reputable service center can help you choose the best one for your car and help you ensure optimal function. Today’s manufacturers are continually improving sensitivity and reaction time in order to improve safety. As part of your brake’s mechanism, your ABS is affected by the type of brake fluid you use. High quality fluid is less prone to clogging your valves, so it is important to know where to buy brake fluid that is right for your system. Ask the professionals at Meineke #1931 in Mooresville, NC about replacing and maintaining your ABS, as well as brake fluid cost.